The Notched 2" Square Leg can be trimmed to accommodate any furniture height. Choose "Cut to Length" below to customize your piece. Add square legs to various table, cabinet corners, shelves, or vanities to make a bold statement with a furniture piece. The new Urban Collection is sleek, contemporary and embodies the clean styles of Metropolitan design. 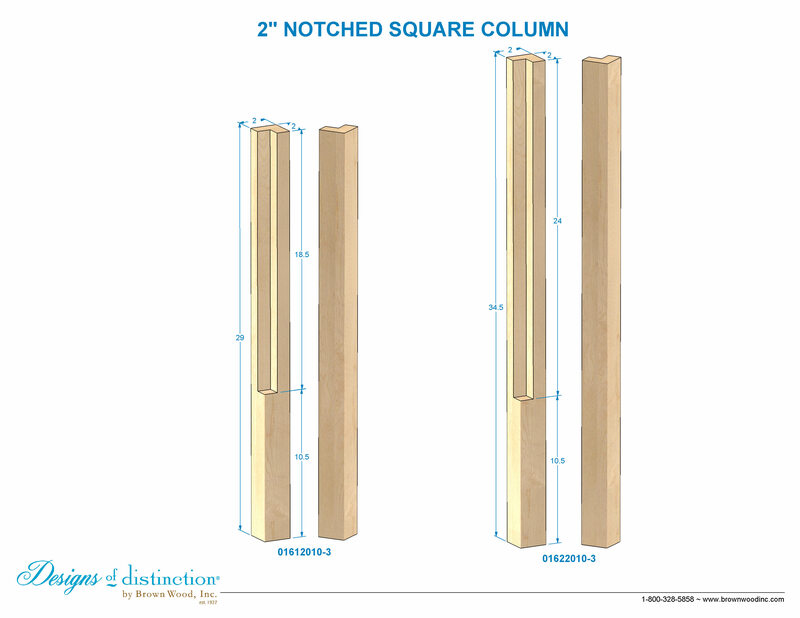 The 2″ column is available straight, with a tapered foot or notched to accept a 24″ cabinet. Shop matching components in the Urban Collection.